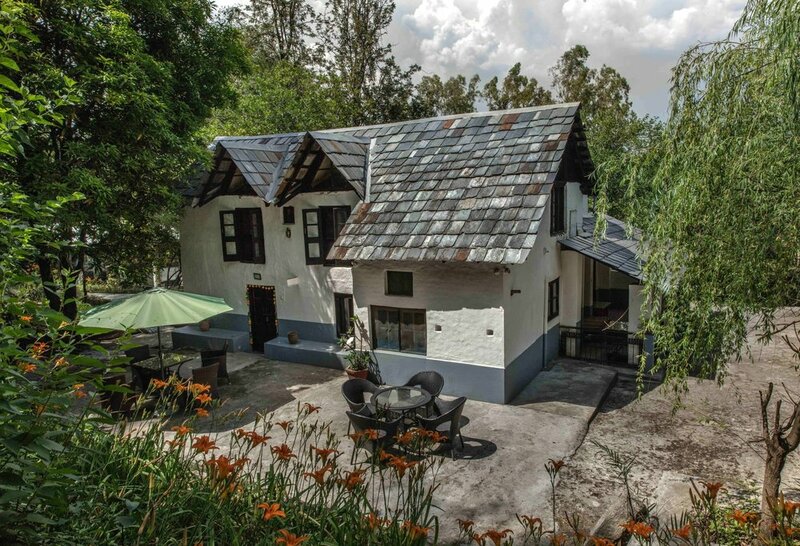 A yoga retreat and heritage homestay in the foothills of the Dhauladhar range. Built in 1948, the main house has a vintage feel. Dotted with black & white photos of a long gone era, it's the perfect space to soak in the history of Andretta. Dedicated to Modern Art, this mud house built in 1956, was restored keeping in mind artists seeking a space that inspires. It is also a perfect couples getaway. These are modern mud cottages with their private patio & with a garden view. They were designed for guests seeking complete privacy. Mirage is a perfect place to rest and be enriched. life. It is authentic India. Himalayan peaks slung across the view. I was taken by my great friend Anastasia to The Mirage for the weekend, I didn't leave for a week. Perhaps it was the extraordinary peace allowing for heavenly siestas. The delicous food eaten with interesting travellers at the large dining table, surrounded by artefacts.